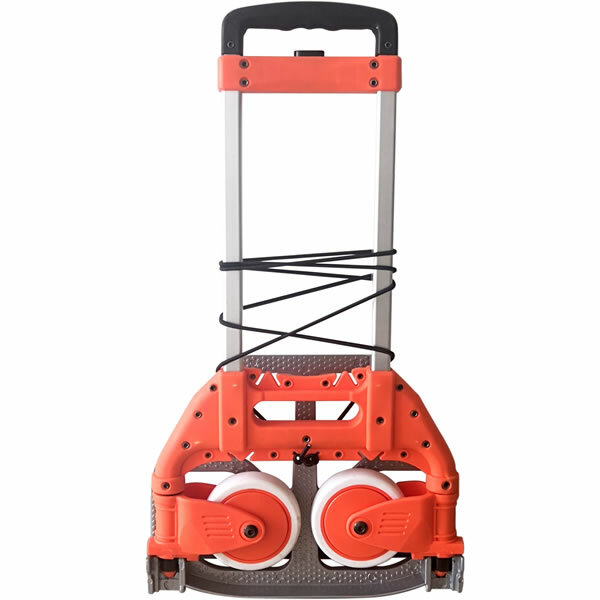 Don’t be fooled by this lightweight, low profile collapsible hand truck because the strong aluminum frame handles up to a 70kgs load. 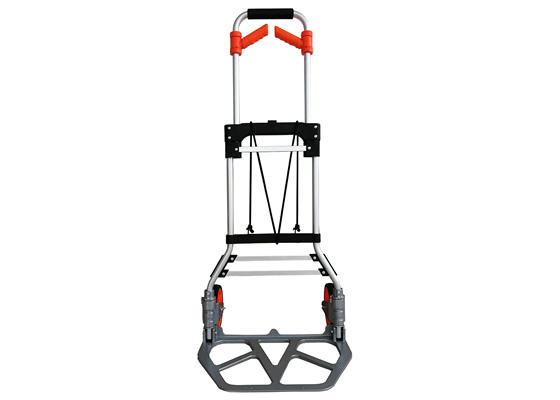 The Lightweight Folding Hand Truck has three vertical handle positions and comes standard with a bungee cord.Folds flat in seconds with the push of a button. 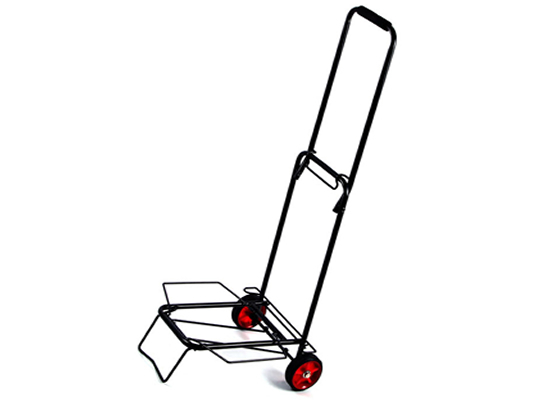 This is a must have cart!Great for conventions, travel, home, office, yard and warehouse. 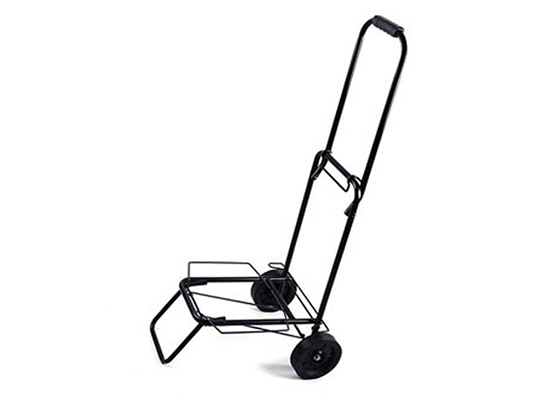 Use this folding hand truck to move light and heavy items with ease. 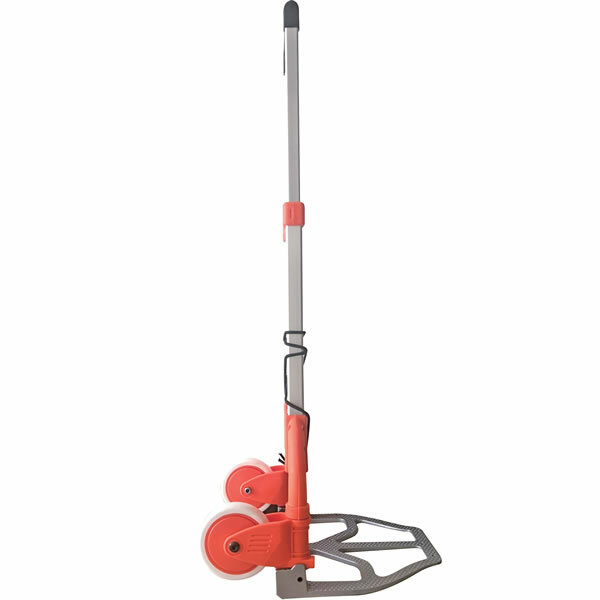 The compact features make this hand truck easy to take with you. 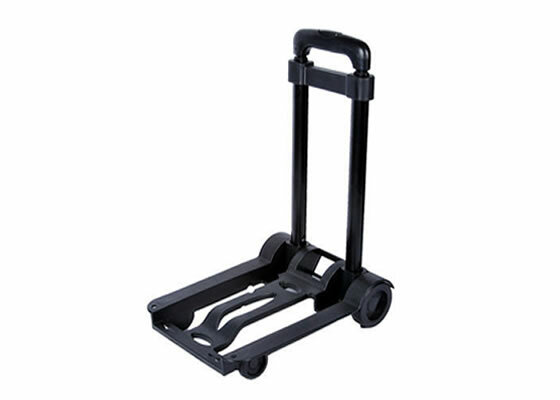 This lightweight and versatile folding hand truck will make quick work of items that need to be transported. 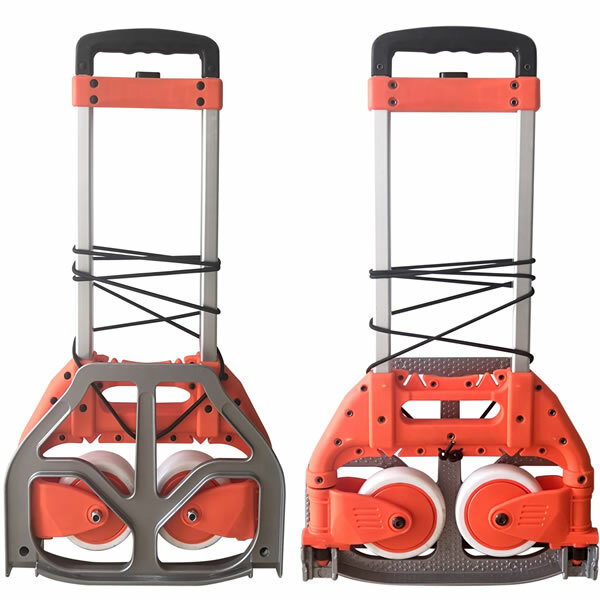 Elastic straps for securing load. 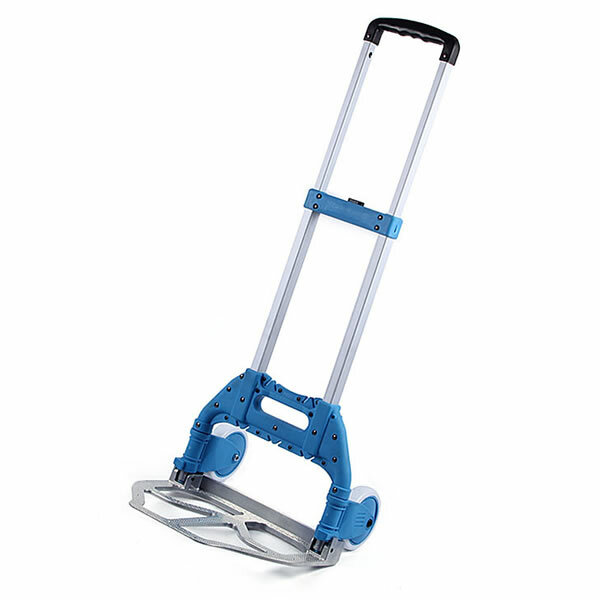 Fits into overhead airline compartments. 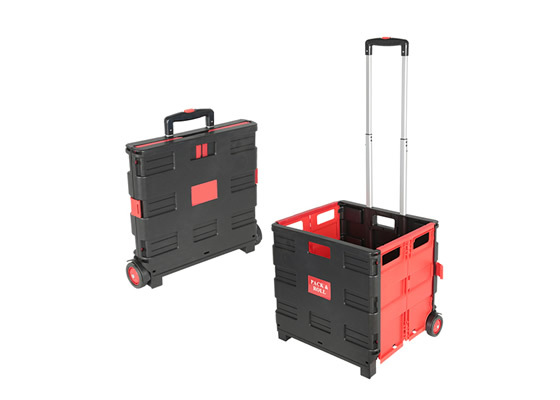 Non-marking shock absorbing rubber tread wheels.